COG is seeking a qualified consultant firm to implement its Commuter Connections Regional Transportation Demand Management (“TDM”) Mass Marketing Project that will encourage commuters to change their travel behavior from driving alone to other modes of travel, including ridesharing, teleworking, using public transit, bicycling or walking. The TDM Mass Marketing Project will be a continuous year-round effort and will employ a variety of high- impact marketing tools to reach targeted audiences. The goal of the Project is to measure specific transportation impacts in the Washington D.C. metropolitan region by June 30, 2020. Further, the Project aims to find methods for decreasing the number of daily vehicle trips and vehicle miles of travel made by commuters in the region. Results from the transportation impacts will be used to estimate air emission impacts such as Nitrogen Oxides (NOx) and Volatile Organic Compounds (VOCs) to support regional air quality goals. The major focus of the program is on congestion management. Marketing of Commuter Connections is a regional TDM measure and calls for the reduction of 10,809 vehicle trips (VT) and 181,932 vehicle miles of travel (VMT) by June 30, 2020. The Project’s effectiveness will be measured based on its ability to attain these reductions or surpass them. Commuter Connections is a network of public and private, local, state and federal transportation and rideshare agencies, coordinated by COG/TPB. Commuter Connections is more fully described in Attachment E to this RFP. Commuter Connections provides information and services for commuters in the Washington D.C. metropolitan region who are seeking alternatives to driving alone. Commuter Connections’ primary operational activities include providing transportation information, ridematching, operating the regional Guaranteed Ride Home program, assisting a regional sales force to work with area employers in implementing commute option programs at their respective worksites, providing employers and the general public with telecommute/telework information, conducting an annual Employer Awards program and event, and promoting a host of other Transportation Demand Management (TDM) measures and strategies throughout the region (i.e., public transit, HOV/Express lanes, flexible work schedules, parking management). Commuter Connections has been in existence since 1974. Originally, it was known as the Commuter Club, then in the 1980’s the name was changed to the Ride Finders Network, and finally in the 1990’s, the name was changed to Commuter Connections. Commuter Connections is a network of public and private, local, state and federal transportation and rideshare agencies, coordinated by the Metropolitan Washington Council of Governments’ National Capital Region Transportation Planning Board (TPB). Requests from the public for commute information are received through COG’s Operations Center via the 1-800-745-RIDE telephone number and web site, www.commuterconnections.org. Calls and applications for commute information are routed by COG staff to the Commuter Connections local rideshare agency member that serves the commuter’s jurisdiction of residence. For all areas not served by a local member, COG provides commuter assistance. Commuter Connections work program elements, which have been approved by the TPB, are implemented through COG/TPB staff on the Commuter Connections team. Products and services are provided to member agencies through central program administration, implementation, and monitoring tasks outlined in the annual Commuter Connections Work Program. Approximately 30 independently run programs are members of the Commuter Connections Network. Each has its own funding sources, budgets, goals, staff and operational strategies. Many of the operational logistics are carried out at the local level and are coordinated regionally through subcommittees and ad-hoc groups, which meet both regularly and as needed. Commuter Connections programs largely originated as measures to reduce vehicle emissions. The program aims to support air quality goals in the region. The program is also part of the TPB’s Transportation Improvement Program and Constrained Long-Range Plan (soon to be Vision 2045). The Marketing TDM measure was first approved by the Transportation Planning Board in 1997, implemented in FY2003, and was adopted into the Commuter Connections Work Program. The Regional Marketing program is projected to reduce 10,809 daily vehicle trips (VT) and 181,932 daily vehicle miles of travel (VMT) by, 2020. These congestion reductions in VT/VMT are projected to decrease nitrogen oxide (NOx) and Volatile Organic Compound (VOC) emission levels in the region. A Regional Transportation Demand Management (TDM) Marketing Group has been working through COG since 1996 to coordinate TDM marketing aimed at reducing driving alone commuting and increasing the use of alternative commuter travel modes. A Regional TDM Resource Guide and Strategic Marketing Plan is in place which has been used to plan regional marketing campaigns in support of regional TDM programs and regional TDM measures being implemented by various agencies and organizations, including COG/TPB. Data and marketing research findings have been applied to the planning of the regional marketing campaigns implemented in the region. The campaigns have focused on using the most effective means to reach specific audiences that have access to commuter services within activity centers and corridors on both the home and work ends. The campaign will communicate the benefits of alternative modes of commuting to those solo commuters who are most likely to shift to non-single occupancy vehicle (SOV) travel. The project will also aim to encourage current non-SOV commuters to continue using other modes of travel. 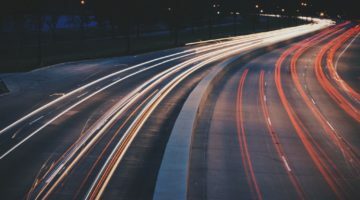 The project will include updating the Washington Metropolitan Region Transportation Demand Management Resource Guide and Strategic Marketing Plan. Advertising production and promotion of Reach-A-Ride program, a separately funded program, through social and traditional advertising media channels. Commuter Connections has conducted marketing campaigns since 1997. Contractor shall research methods that were deemed successful during past marketing campaigns and why they were effective. Contractor shall also review those methods that were not considered successful and examine whether they might be pursued differently to improve their effectiveness. Key stakeholder organizations and employers and the general public will be vital to understanding how different types of commuters think and how they might be affected by various regional marketing strategies. These stakeholders include state departments of transportation and any of their affiliated TDM program teams, local rideshare agencies, transit agencies, transportation management agencies (TMAs); and employers with TDM programs, including federal agencies, and commuters in general. Contractor shall be asked to research the opinions and experiences of these stakeholders to help determine how the Project should continue and what new activities should be considered for development and implementation. Such research can include on-line survey feedback, focus groups, informal discussion forums or one-on-one research. Contractor shall be responsible to develop a Commuter Connections Earned Media Plan for review and feedback. The plan will include a detailed description of specific public relation activities that would be conducted on behalf of Commuter Connections, including but not limited to; placement of human interest stories from program users, media relations for Commuter Connections network members, working with COG’s public affairs office on special event press releases and media relations (i.e. Bike To Work Day, Car Free Day, ‘Pool Rewards, Annual Employer Recognition Awards, CarpoolNow, Flextime Rewards, and various mobile apps), and other press activities identified by COG/TPB staff and Commuter Connections stakeholders. This quarterly newsletter already has a design template that will remain in use for both the electronic and print version. COG will handle all printing and distribution (both electronic and print) of the newsletter and insert. Contractor is responsible for working with COG/TPB staff to identify newsletter stories and interviewing relevant individuals to write stories based on a quarterly schedule that will be provided to the Contractor. Contractor is also responsible for obtaining needed photos and graphics, reviewing documents, meeting notes, relevant research reports, news clips and other relevant press releases to develop independent stories. Contractor is further responsible to produce a draft newsletter for review by COG/TPB staff. This shall include providing full color PDF layout for review and edits by COG/TPB staff, allowing an additional two rounds of edits prior to final layout, and sending of art files and printer instructions to offeror for printing and electronic distribution purposes. An electronic version of the newsletter for email distribution shall also be provided to COG/TPB staff. Each year, beginning in 1998, Commuter Connections has held a regional employer recognition program and event. The purpose of the program is to recognize successful voluntary employer programs that market commuting alternatives, provide incentives for employees to use alternatives, or provide telecommuting/teleworking arrangements for employees. The awards also are used to promote commuting alternatives in existence in the Washington D.C. metropolitan region and are used to encourage employers to begin or expand TDM programs at their respective worksites. Contractor shall be responsible for updating the Commuter Connections Employer Recognition Awards brochure and nomination form based on feedback and approval from an Employer Outreach Recognition Awards Work Group and COG/TPB staff, and working with COG/TPB staff to obtain and confirm award submittals, reviewing nominations submitted and producing summary briefs for the Awards Selection Committee, contacting award nominees, employer services sales representatives, to verify and clarify information submitted from nominees on their respective award applications, attending and moderating the selection committee meeting to brief the group on the selection process, calculate scores, and prepare award selection recommendation to COG/TPB staff. and incenTrip mobile apps. Other campaigns during FY2019 and beyond can include the promotion of pre-tax transit and vanpool benefits as well as the use of Commuter Connections’ program services during significant regional construction projects such as Transform66. Basic Research: Becoming knowledgeable about the basic subject matter, current TDM research in the region, and the demographics of the target audience through review of relevant literature in order to identify target markets. Strategic Planning: Development of comprehensive strategy and mechanism to ensure that the target audience is reached with an effective message in the most cost-efficient manner. Creative Efforts: Design of ads and publications, copy, ad concepts, logo designs, slogans or themes, specialty items, promotional campaigns, musical jingles, illustrations and original artwork. This includes concept development, from rough draft layouts, scripts and storyboards to final production. Technical Expertise: Dynamic web site and digital ad design and development as well as evaluation reporting capabilities and web/ad optimization. Production of Mechanicals: Design, photography, audiovisuals, finished artwork, graphics, desktop publishing, and digital files preparation. Media Placements: Selection and purchase of local and regional media as well as negotiation of value added media placements and/or promotions that would exceed the cost of the media buy, as needed. Market Research: Pre- and post-testing of advertisements, focus groups, and market research studies. 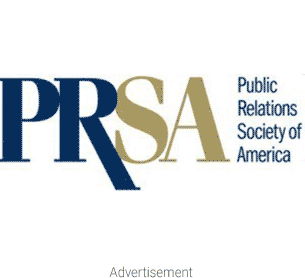 Pr firms with transportation experience includes Zeno Group and Hunter PR.